Today's gadgets specially those Smartphones and Tablets are coming with video capturing facility. Most of the people who used to make video filming on their vacation through these gadgets and no have time to edit them or don't know how to do that, these are raw and un-edited clips. You can make money by editing these clips for those people with professional style. Add music, special effects, captions and many more can be added to them to like a real movie. Much video and audio editing software are available in the market that is free or low priced. If you can master any one of this software from your home or can learn in professional school or through online courses to edit video clips very easily and quickly. For this you will need a latest computer with more than 2GB ram, editing machine. This can be a very profitable business to work from your home if you have little creativity. Once you had mastered this art you can advertise your service in the local news papers, web sites, Google Adwords and in Facebook with small amount of money. 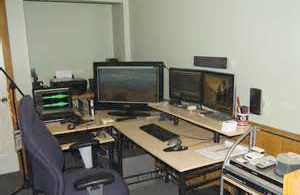 Or you can work for editing companies in your area for hourly base, and this job can be carried out from your home. There are many people who had made money from the Youtube by just cutting and adding many clips in to one. For example funniest cats vide are very popular with the mass in the Youtube. Each clip has its own fun filled events. But what these editors do? They get the best portion of a video clip and cut it and make it in to a video then add more of them from the other clips and at the end people can view 10 - 25 video in one video and it increase their enjoyment by just watching one video rather than plenty. In this video if any of them click on the published Adsense video then the owner gets payment for it. So when a video clip gets 2 million views see the potential of the video maker's income through the supported advertisements. Also there are plenty of video editing applications too available for the Smartphone and the Tablets which can be used to edit videos. So take this as a part time job or full time job where you can make good money from your home. $1.99 iPhone App Saved Oscars Film.